Konami is certainly comfortable with the popular and profitable Trading Card Game genre, their Yu-Gi-Oh series reportedly selling in excess of twenty-two billion cards all over the world since it was first launched. The digital equivalents have always been warmly welcomed on Nintendo hardware too, stretching all the way from Yu-Gi-Oh! Duel Monsters on the Game Boy Color right through to the freshly-released Zexal World on the 3DS. 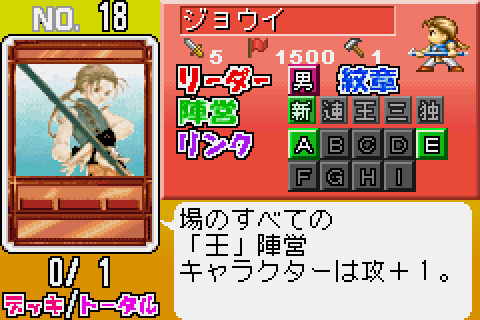 But while Konami was pushing Blue Eyes White Dragon cards onto eager international TCG fans, back in Japan it was busy creating something else based on their own fan-favourite Suikoden RPG series, which eventually led to the tie-in Genso Suikoden Card Stories GBA title in 2001. 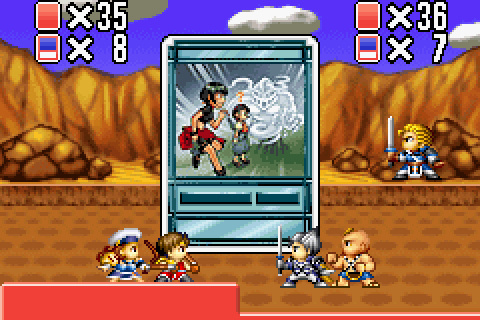 The game roughly follows the plot of the PlayStation classic Suikoden 2, although with the story delivered via static visual novel-like backgrounds with the occasional map screen or free roaming section in-between. 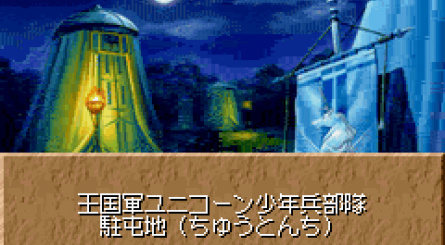 This RPG-like framework permeates the entire game; card battles are initiated by Suikoden 2’s enemies and bosses and the local town inn serves as a place to rebuild your card deck and save your game. The battles themselves are of course where the meat of the game lies, and thankfully the card game itself does a good job of balancing the necessary crowd-pleasing fan service with some interesting gameplay mechanics. 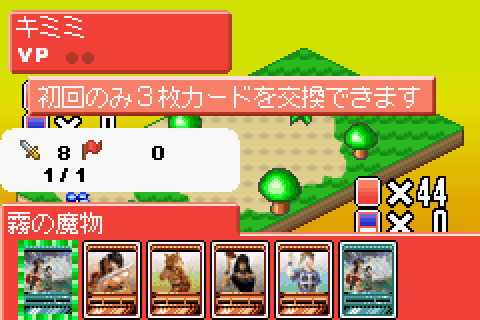 The basic flow of these battles require both sides to take turns playing mission cards which players then face-off against each other to successfully complete using character cards, which when won gives the victor a few VP – once enough VP has been earned the match is won and it’s on with the adventure. 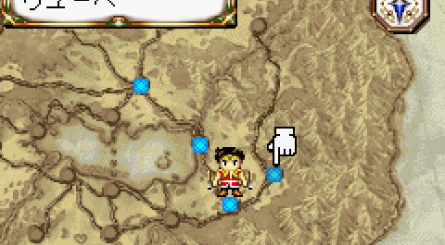 Of course as with all good card games things are rarely that simple, and Suikoden Card Stories mixes things up by having a variety of mission cards (including army battles and duels), a distinction between leaders and regular characters, facilities to be built that grant various bonuses and many more complications. 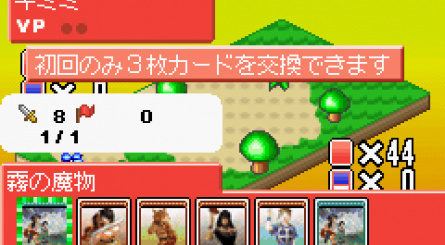 The Suikoden card game may never be in any danger of usurping the likes of Magic: The Gathering or other heavy-hitters in the same field, but for fans of Konami’s RPG series who like to try something a little different the card game makes for a welcome change of pace. 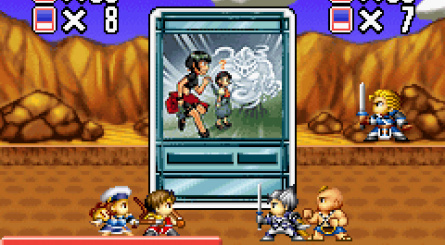 Suikoden Card Stories is not without issues though, and oddly enough they stem from what should have been its greatest asset – the chance to retell Suikoden 2 in portable form. 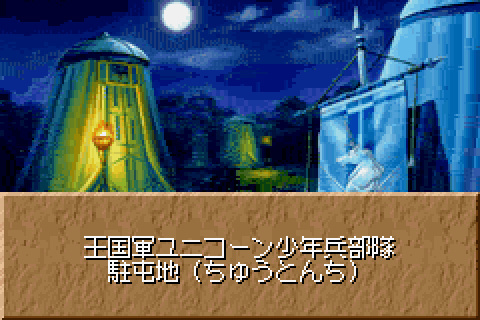 The GBA just isn’t up to the task handed to it, with rather weedy renditions of classic Suikoden music playing over yet another scene where characters throw text boxes at each other while you stare at a low-colour image of Generic Field #2. 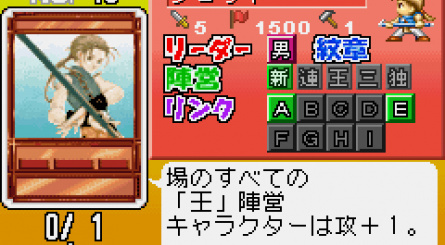 The fantastic original card art suffers a similar fate, appearing to be nothing more than low resolution scans of real cards with little to no attempt made to compensate for the GBA screen size or shape. Of course a single player campaign in what is otherwise a strictly multiplayer experience is not only welcome and downright necessary when dealing with card games, but perhaps the looser framework of a Suikoden fan TCG tournament (a la the wonderful “Cardfighter’s Clash” games on the Neo Geo Pocket) would have meant players could spend more time building decks and actually enjoying the TCG rather than being forced through a watered-down version of a tale that they’ve very likely already been through in its superior original format. 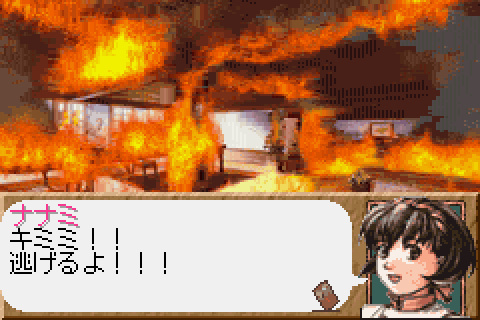 The TCG portion of this game is a lot of fun and for most of us is absolutely the best way to experience it, but on the whole this GBA port of Suikoden Card Stories feels like something of a missed opportunity. Suikoden 2 is the 2nd best game ever made in my eyes, but I've never even heard of this. 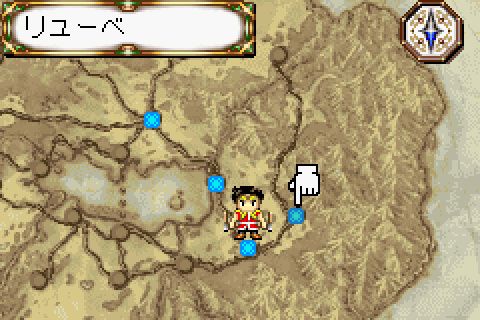 I never played Suikoden 2, but the first one I completed. 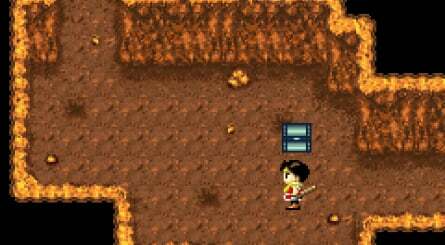 I recall it was the first RPG I ever played on my PlayStation! If you like RPGs Suikoden 2 is an absolute must, games don't get much better than that. 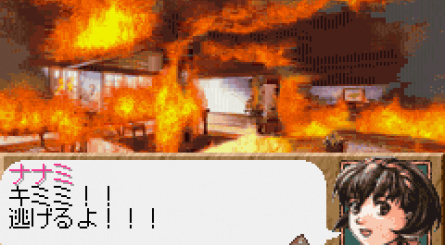 Suikoden 2 is my all time favorite game. I had no idea this existed. I love the Suikoden series as a whole and the UK really does not receive enough of it! What we do get is insanely expensive! I got Suikoden 2 for £30 new and when I sold it, it fetched nearly 4 times that at £115! I was sad to see it go. I also bought and sold the DS Suikoden Tierkreis for about £50. 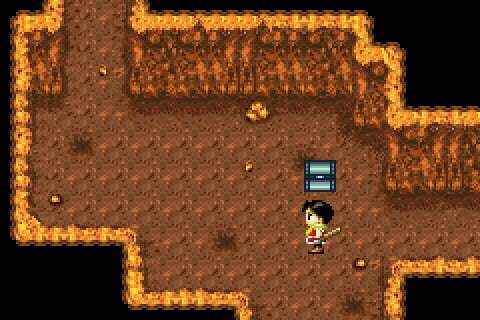 I would love to see it get an e-shop release if they're starting to bring DS games to the WiiU! 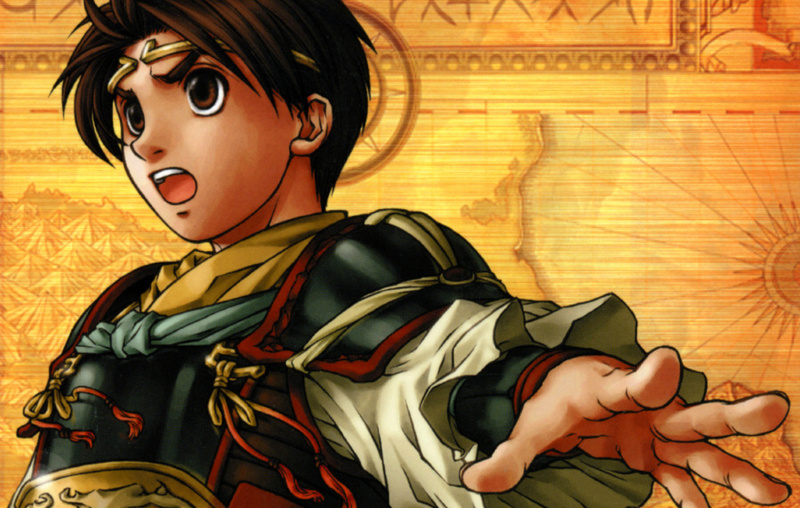 I'd also love to see a new Suikoden game make the WiiU but I doubt that's going to happen any time soon.